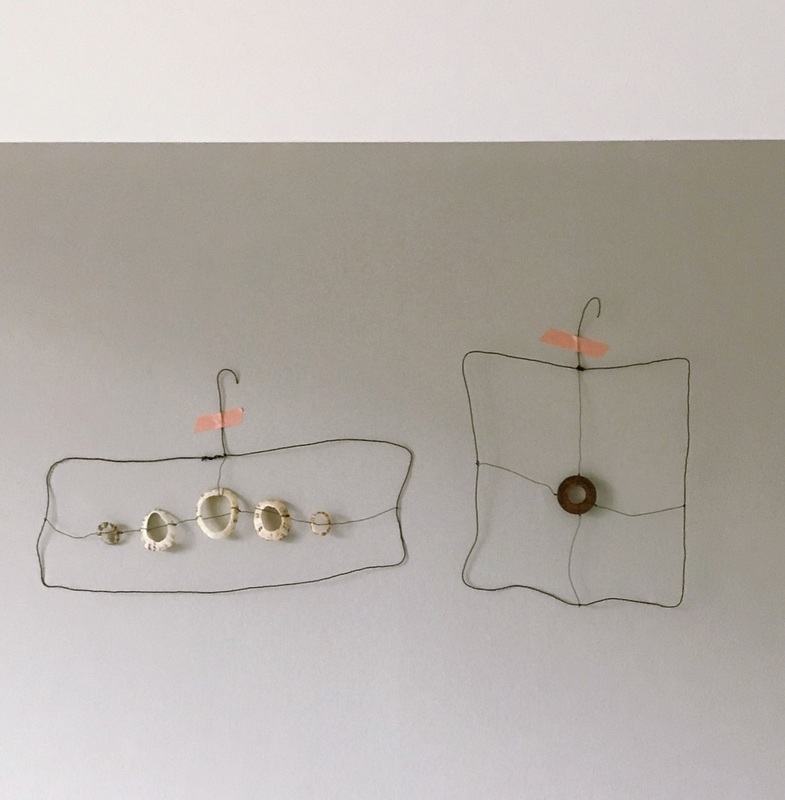 Above: Julia suspends drilled sea shells and a rusted washer in her signature handmade wire frames. A similar Wire Frame With Shells is currently available for £15. On the 10th day of Christmas, my true love gave me foraged things that have been re-purposed into items of simple beauty for the home by Julia Joplin founder of Gathered Found Made. The moment we started following Julia’s Instagram feed this summer, we were instantly transported to her world where the natural beauty of the West Yorkshire dales seeps its way into her studio in an ancient textile mill through the things she makes. Small and unobtrusive, her designs may sit quietly in the background but like the landscape from which they come, they never go unnoticed. 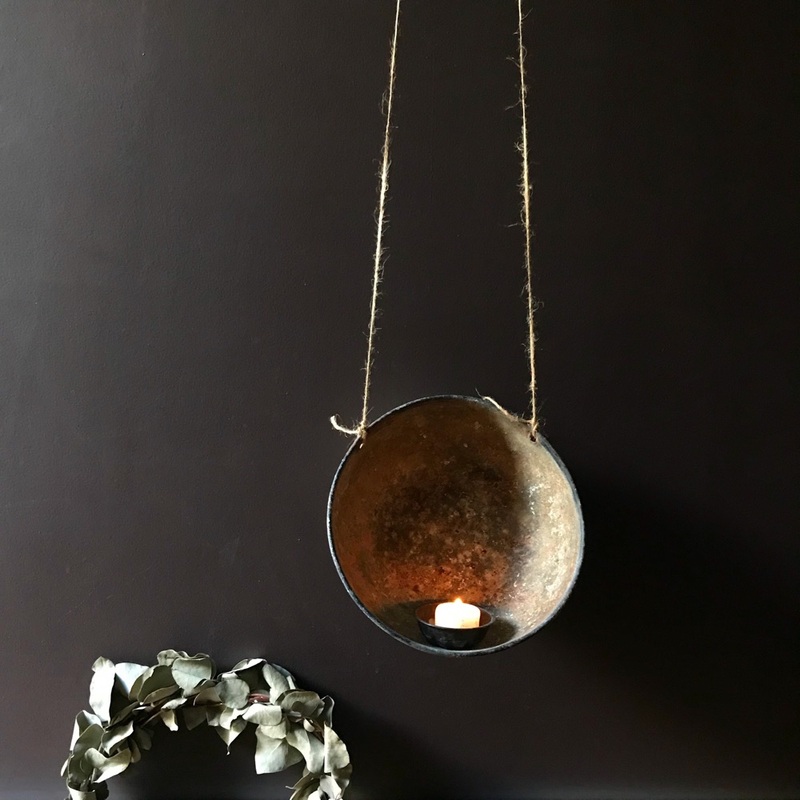 Above: Rusted Iron Feeding Bowls, which have been re- purposed into hanging lanterns, glow with a unique patina, £25. 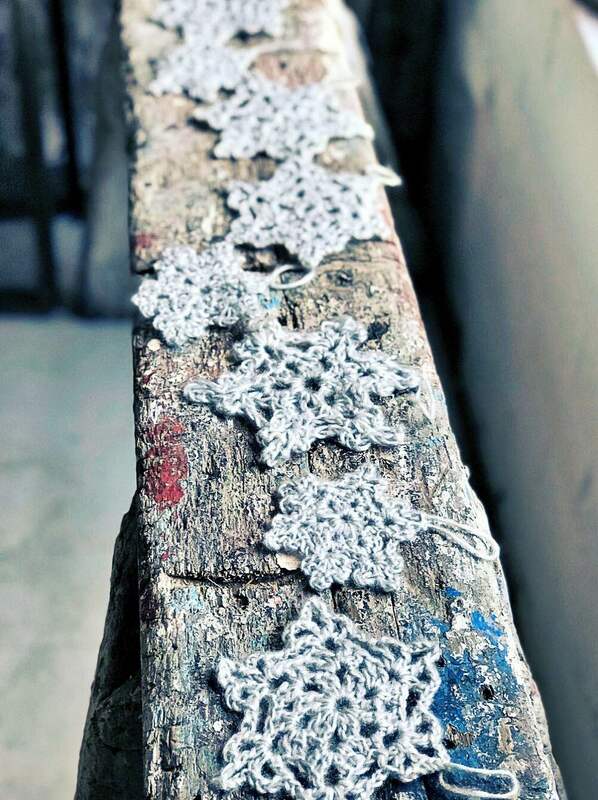 Above: Delicate crochet silver Woolen Snowflakes add a quiet seasonal cheer to any home. Set of 11 (4 large, 3 small), £22. Photograph courtesy of Gathered Found Made.